I’ve often wondered why so many bike companies ship their time trial/triathlon bikes with such crappy wheels. I suppose that if I’d really thought about it, the answer would have been obvious — low quality wheels are great for training purposes and help keep unit costs down. 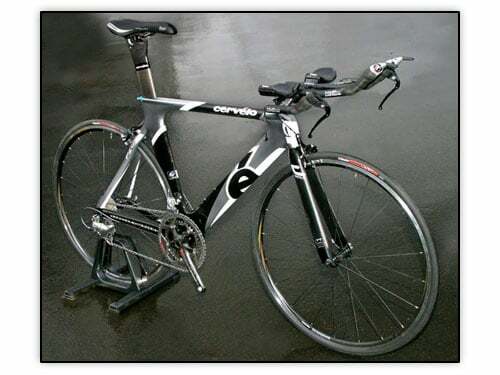 In addition, entry-level triathletes will get great performance out of this bike and all they need to do to make the bike more capable is to upgrade the wheels at a later date. The P2C (Ultegra group) shown above might well be one of the best values in the TT/triathlon space.